Yep, that’s a bold headline. 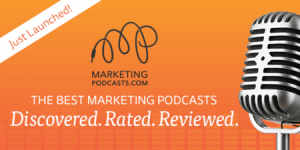 But it’s not just me saying it, as I am thrilled to announce right here at Convince & Convert that our Social Pros Podcast won the 2015 Content Marketing Award for best podcast! ….and several more on the way! Each week on the Social Pros podcast my co-host and I interview a leading figure in the world of social media. Usually it’s someone from a big brand, and the list of companies we’ve talked to on the show is remarkable. Check out the archives here to find some gold! What’s amazing about this award to me, however, is that we have been doing this for FOUR YEARS! Social Pros was one of the first social media podcasts, and certainly the first to focus on big-company social media. And now, after 172 episodes, to receive recognition like this is very, very gratifying. What’s funny is that Social Pros (and podcasting in general) is a big deal now, but it really was a lot less of a big deal when we started. Hell, Social Pros wasn’t even my idea! Eric Boggs (then at Argyle Social, now the kingpin at RevBoss) called me in late 2011 and asked if I wanted to do a podcast together. I dabbled in radio in college, knew we could use more content (that’s also about the time we upped the publishing cadence on this blog), so I figured “sure, why not?” And here we are! In addition to Eric, who was my awesome co-host for the first 2.5 years of the show, Jeff Rohrs (formerly of ExactTarget, now CMO at Yext) was an incredible wingman for the past two years. Adam Brown (Executive Strategist at Salesforce) is my new co-host, and we’re having a great time already. Zena Weist and Nick Cicero also helped host the show, and were key contributors to its success. HUGE thanks as well to Jess Ostroff, our managing editor of Social Pros (and this blog) who has been instrumental in the show from the first moment. 1. Differentiation. It’s a show about big companies in social. There are few others that do it that way. 2. Spotlight. The show very intentionally is about the guests, not about me and Adam. 3. Specific and Strategic. Because the show is about big brands and many of the listeners are social media professionals, we can dig deep. We don’t have to explain every nuance to a novice audience. And the show is usually about social media strategy, not specific tactics and how-tos. 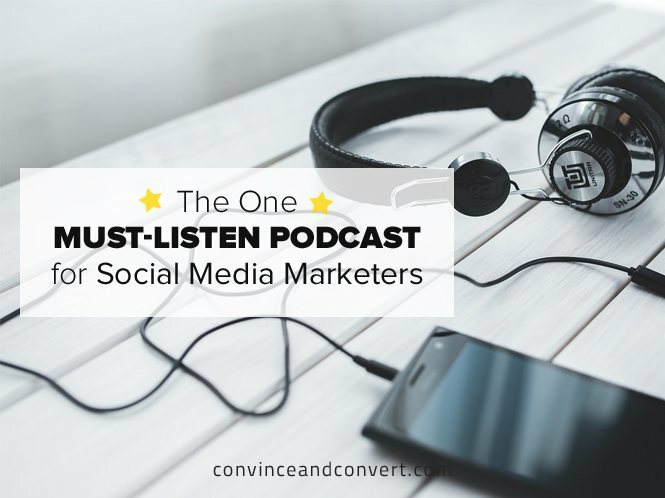 There is a HUGE audience for social media how-tos, and a tons of great podcasts that focus there. It’s just not what we do on Social Pros. 4. Consistency. We’ve missed 4 weeks in 4 years. 3 for holiday seasons, and one technical snafu. 5. Promotion. It definitely helps that we have a digital media company to promote the show and episodes, and we work hard at it. For example, we run retargeted banner ads that tell people who have visited this blog who this week’s guest is on Social Pros. Maybe you’ve seen those ads? 6. Guest Relations. We treat our guests like guests. We FedEx them a fancy microphone to use. We prep them before the show. We send thank yous. We send digital badges they can use to promote their appearance. We’ve also had a very supportive group of sponsors through the years. Without their support, the show wouldn’t even exist. Our current sponsors are Affin.io (social network analysis); Cision (media intelligence software; Formstack (custom forms and form testing); SproutSocial (social media engagement software); and Salesforce (end-to-end marketing cloud). Thank you! We’re working on some new shows to add to our podcasting portfolio. If you have an idea, reach out! We also run MarketingPodcasts.com – which is essentially Google for marketing podcasts. If Social Pros isn’t for you, we have more than 1,000 other shows in the database. Each show is ranked, rated, and reviewed. We have a weekly newsletter for new show reviews too! We also created this free guide to how we do podcasts here. I hope it benefits you in some way. Thanks SO MUCH for your support of Social Pros. I’m looking forward to the next 4.5 years of the show.